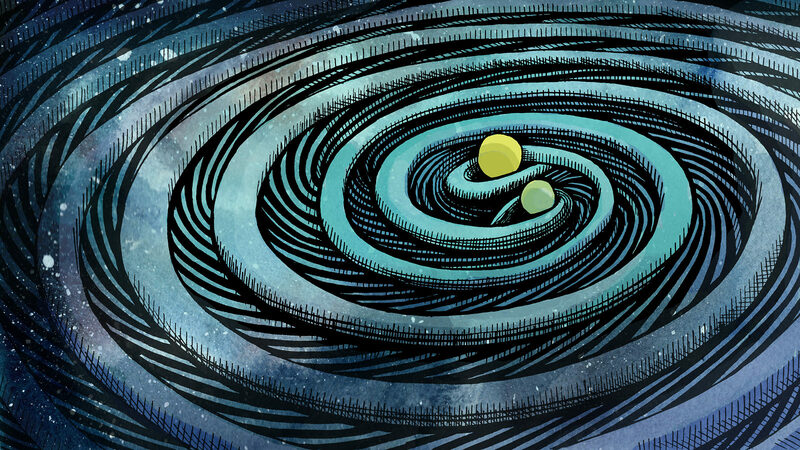 Just last year, the three observatories of the Laser Interferometer Gravitational-Wave Observatory (LIGO)–Virgo Collaboration detected the gravitational-wave signature of two neutron stars colliding. What can we learn from the months of observations made since? Immediately following the detection of gravitational-wave event GW170817, teams of astronomers around the world rushed to pinpoint and characterize the electromagnetic radiation from the source. These early observations were hugely important for validating our understanding of what happens when neutron stars collide, but the work didn’t end there; in the months that followed, repeated measurements of the flux across the electromagnetic spectrum have provided us with the tools to probe what happened in the aftermath of the merger. These late-time observations should allow us to distinguish between two competing post-merger scenarios, in which the resultant relativistic jet either pushes past the previously ejected material surrounding the remnant (the “jet-dominated outflow” model) or fails to escape the slow-moving shroud of material (the “cocoon-dominated outflow” model) and is choked. In order to characterize the nature of the outflow and determine which scenario describes GW170817, a team led by Kunal Mooley (National Radio Astronomy Observatory/Caltech) analyzed the decline of GW170817’s radio emission over time. The authors combined data from multiple radio sources — MeerKAT, Very Large Array (VLA), Giant Metrewave Radio Telescope (uGMRT), and the Australia Telescope Compact Array (ATCA) — to cover the radio emission from 0.65 to 12 GHz. After steadily rising for 5–6 months after the event, the radio emission peaked and quickly began to decline, making the transition from rising to falling in just a few weeks. The authors focused on two important features of the radio light curve: how rapidly the flux density decreases after the peak (the power-law decay index) and how “sharp” the peak of the light curve is. Models tell us that if GW170817’s jet were choked by a slow-moving cocoon of material, the radio observations would reveal a power-law decay index of -0.88. If instead the jet punches free of the material as in the jet-dominated outflow model, its flux density would decrease much more rapidly, exhibiting a power-law decay index of -2.17. So which model do the radio observations of GW170817 support? All of the post-peak data are well-described by a single power-law decay with an index of -2.4. This strongly supports the jet model over the cocoon model, and it suggests that the majority of the energy in the post-merger outflow is carried away by the jet. The sharpness of the light-curve peak is dependent upon the viewing angle and the width of the jet. Based on a simple jet model, the authors find that the jet is likely very narrow (with an opening angle of less than 10°) and the viewing angle is less than 28°. Future modeling will explore the effects that structure in the jet can have on how sharply peaked the radio light curve is and further our understanding of these highly energetic collisions. “A Strong Jet Signature in the Late-time Light Curve of GW170817,” K. P. Mooley et al 2018 ApJL 868 L11. With a total of 10 black holes detected, what we’ve learned about the Universe is truly amazing. On September 14th, 2015, just days after LIGO first turned on at its new-and-improved sensitivity, a gravitational wave passed through Earth. Like the billions of similar waves that had passed through Earth over the course of its history, this one was generated by an inspiral, merger, and collision of two massive, ultra-distant objects from far beyond our own galaxy. From over a billion light years away, two massive black holes had coalesced, and the signal — moving at the speed of light — finally reached Earth. But this time, we were ready. The twin LIGO detectors saw their arms expand-and-contract by a subatomic amount, but that was enough for the laser light to shift and produce a telltale change in an interference pattern. For the first time, we had detected a gravitational wave. Three years later, we’ve detected 11 of them, with 10 coming from black holes. Here’s what we’ve learned. There have been two “runs” of LIGO data: a first one from September 12, 2015 to January 19, 2016 and then a second one, at somewhat improved sensitivity, from November 30, 2016 to August 25, 2017. That latter run was, partway through, joined by the VIRGO detector in Italy, which added not only a third detector, but significantly improved our ability to pinpoint the location of where these gravitational waves occurred. LIGO is currently shut down right now, as it’s undergoing upgrades that will make it even more sensitive, as it prepares to begin a new data-taking observing run in the spring of 2019. The 11 detections that have been made so far are shown above, with 10 of them representing black hole-black hole mergers, and only GW170817 representing a neutron star-neutron star merger. Those merging neutron stars was the closest event at a mere 130–140 million light years away. The most massive merger seen — GW170729 — comes to us from a location that, with the expansion of the Universe, is now 9 billion light years away. Here are the five surprising truths that we’ve learned from all of these detections combined. 1.) The largest merging black holes are the easiest to see, and they don’t appear to get larger than about 50 solar masses. One of the best things about looking for gravitational waves is that it’s easier to see them from farther away than it is for a light source. Stars appear dimmer in proportion to their distance squared: a star 10 times the distance is just one-hundredth as bright. But gravitational waves are dimmer in direct proportion to distance: merging black holes 10 times as far away produce 10% the signal. As a result, we can see very massive objects to very great distances, and yet we don’t see black holes merging with 75, 100, 150, or 200+ solar masses. 20-to-50 solar masses are common, but we haven’t seen anything above that yet. Perhaps the black holes arising from ultra-massive stars truly are rare. During this final month of observing, we were detecting more than one event per week. It’s possible that, as we becomes sensitive to greater distances and smaller-amplitude, lower-mass signals, we may begin seeing as many as one event per day in 2019. 3.) When the black holes we’ve detected collide, they release more energy at their peak than all the stars in the Universe combined. Our Sun is the standard by which we came to understand all other stars. It shines so brightly that its total energy energy output — 4 × 10²⁶ W — is equivalent to converting four million tons of matter into pure energy with every second that goes by. With an estimated ~10²³ stars in the observable Universe, the total power output of all the stars shining throughout the sky is greater than 10⁴⁹ W at any given time: a tremendous amount of energy spread out over all of space. But for a brief few milliseconds during the peak of a binary black hole merger, every one of the observed 10 events outshone, in terms of energy, all the stars in the Universe combined. (Although it’s by a relatively small amount.) Unsurprisingly, the most massive merger tops the charts. 4.) About 5% of the total mass of both black holes gets converted into pure energy, via Einstein’s E = mc², during these mergers. The ripples in space that these black hole mergers produce need to get their energy from somewhere, and realistically, that has to come out of the mass of the merging black holes themselves. On average, based on the magnitude of the gravitational wave signals we’ve seen and the reconstructed distances to them, black holes lose about 5% of their total mass — having it converted into gravitational wave energy — when they merge. 5.) With everything we’ve seen so far, we fully expect there are lower-mass, more frequent black hole mergers just waiting to be seen. The most massive black hole mergers produce the largest-amplitude signals, and so are the easiest to spot. But with the way volume and distance are related, going twice as distant means encompassing eight times the volume. As LIGO gets more sensitive, it’s easier to spot massive objects at greater distances than low-mass objects that are close by. We know there are black holes of 7, 10, 15, and 20 solar masses out there, but it’s easier for LIGO to spot a more massive one farther away. We expect there are black hole binaries with mismatched masses: where one is much more massive than the other. As our sensitivities improve, we expect there are more of these out there to find, but the most massive ones are easier to find. We expect the most massive ones to dominate the early searches, just as “hot Jupiters” dominated early exoplanet searches. As we get better at finding them, expect there to be greater numbers of lower-mass black holes out there. Now that we’ve made it into the double digits for the number of detected events, it’s time to go even farther. With LIGO and VIRGO fully operational, and at better sensitivities than ever, we’re ready to go one step deeper in our exploration of the gravitational wave Universe. These merging, massive stellar remnants were just the start. 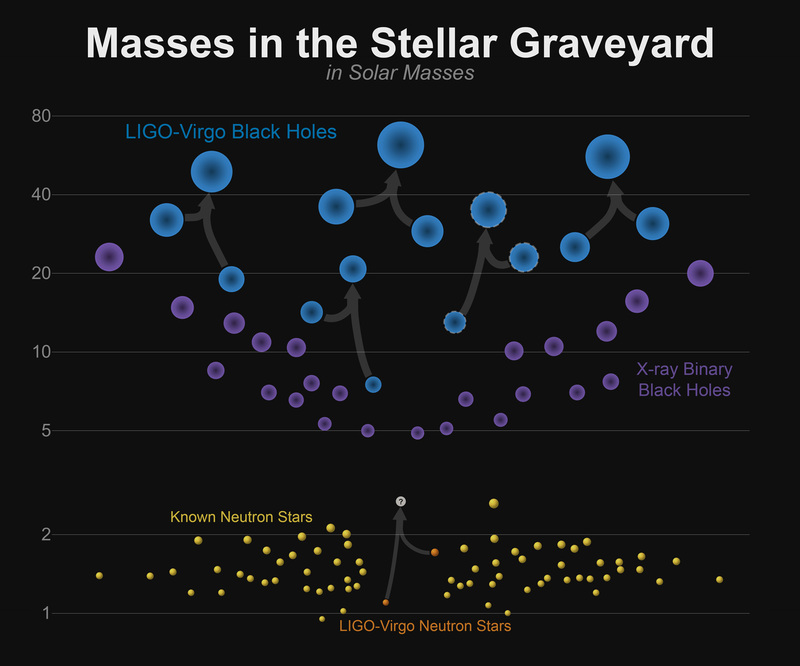 It’s time to visit the stellar graveyard, and find out what the skeletons are truly like. Scientists have detected gravitational waves and electromagnetic radiation, or light, from the same event for the first time, as described in our latest press release [see below]. How did you hear about LIGO’s detection of a neutron star merger and what were your first thoughts? I saw the e-mail from the LIGO collaboration when I woke up in the morning, and no one was expecting it because LIGO was a week away from shutting down from its current observing run. We all just kind of went “Wow. Oh my goodness! This is actually happening.” Edo called a meeting and we all rushed into his office to prepare our plans for following it up. So, we first got an alert from LIGO on the morning of August 17th. I was actually in the middle of a boring committee meeting. My office phone started ringing, and I ignored it. Then my cell phone started ringing and I ignored it. Then text messages started coming in. At that point I knew that I couldn’t ignore it anymore, so I kicked everybody out of the office and started catching up on this new alert that came from the LIGO observatory saying that they detected the first merger of a neutron star binary system. As soon as we started observing the sky in Chile we were transferring these images back to computers at Harvard as soon as they came in and we all frantically brought them up on our computer screens and looked for new sources that appeared. Really what we expected was that we wouldn’t find anything in real time and that we’d spend the whole day next day processing these images trying to find some sort of faint little detections of possible candidates. But what actually happened was that one of the first giant galaxies we looked had an obvious new source popping right out at us. This was an incredible moment. I think one of my collaborators saw it first and sent an email that I can’t quite repeat but I will never forget. After that our email inboxes exploded. Every team in the world was looking at this thing and trying to compete to say things first. It was a night unlike any other I’ve had in my career. The VLA has been invaluable to the science so far. This is going to continue to be a very interesting target for radio observations going forward. The radio emission that we’re observing is likely to continue to be observable with the VLA for the next several weeks to months, and we’ll be very eager to monitor the radio emission we’ve seen as it slowly fades away. We also predict that several years from now the source should brighten in the radio again as all of the slower moving material that produced the optical light eventually starts producing a shock wave [akin to a sonic boom] with the surrounding medium. Then we’ll have a completely independent second chance to figure out all of these properties of the environment around the neutron star. We don’t know exactly when this will happen, but we certainly will continue to look at it with the VLA for years to come. One of the particularly exciting aspects of studying the collisions of neutron stars in both gravitational waves and electromagnetic radiation is that it gives us a completely new way of measuring the Hubble Constant, which is the measurement of how fast the Universe is expanding. So far, we’ve been studying the Hubble Constant using different techniques: supernova explosions or the cosmic microwave background [leftover radiation from the Big Bang]. But here, for the first time, we have a completely independent new way of measuring the Hubble Constant. We can measure the distance to the object from the gravitational wave signal and we can then measure the amount of redshifting which tells us how fast the universe is expanding from the electromagnetic signal. And by combining these two measurements we can directly measure the Hubble Constant. I think the big outstanding questions now are first of all how typical was this event of the general population of neutron star mergers? Maybe we got lucky and we found a very bright one. Maybe the others aren’t going to be so great. But we’ll find this out in the next few years as LIGO detects more and more of these sources. By detecting more sources we can also measure the rate at which they occur. The combination of those two things is very powerful. If we know how diverse they are and how often they occur we can work out the total production of heavy elements in the universe. If we compare this production of heavy elements to the abundances that we measure in our local environment we can show definitively whether all heavy elements come from neutron star mergers. You can do all kinds of science that you could not do with just a gravitational wave detection. The gravitational wave detection is great for telling you about the binary, the objects that merged and their properties, but it can’t do other things. For instance, LIGO can’t give you a precise location on the sky. It can do very well, especially with Virgo, but once you have an optical counterpart you know exactly where that event occurred. And then you can do all kinds of other exciting science. We can associate the source with a galaxy. We can learn about where these objects come from. What are their homes like? Understanding all this information will help us understand the behavior of the merger: how much material is produced, which is important for understanding whether or not these events can truly be the source of heavy element production. So, it really is necessary to maximize the science goals. Marking the beginning of a new era in astrophysics, scientists have detected gravitational waves and electromagnetic radiation, or light, from the same event for the first time. This historic discovery reveals the merger of two neutron stars, the dense cores of dead stars, and resolves the debate about how the heaviest elements such as platinum and gold were created in the Universe. To achieve this remarkable result, thousands of scientists around the world have worked feverishly using data from telescopes on the ground and in space. 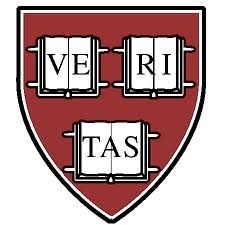 Researchers at the Harvard-Smithsonian Center for Astrophysics (CfA) in Cambridge, Mass., have played a pivotal role. A series of eight papers led by CfA astronomers and their colleagues detail the complete story of the aftermath of this event and examine clues about its origin. Gravitational waves are ripples in space-time caused by the accelerated motion of massive celestial objects. They were first predicted by Einstein’s General Theory of Relativity. The Advanced Laser Interferometer Gravitational-Wave Observatory (LIGO) made the first direct detection of gravitational waves in September 2015, when the merger of two stellar-mass black holes was discovered. On 8:41 am EDT August 17, 2017, LIGO detected a new gravitational wave source, dubbed GW170817 to mark its discovery date. Just two seconds later NASA’s Fermi satellite detected a weak pulse of gamma rays from the same location of the sky. Later that morning, LIGO scientists announced that two merging neutron stars produced the gravitational waves from GW170817. A few hours after the announcement, as night set in Chile, Berger’s team used the powerful Dark Energy Camera on the Blanco telescope to search the region of sky from which the gravitational waves emanated. In less than an hour they located a new source of visible light in the galaxy NGC 4993 at a distance of about 130 million light years. 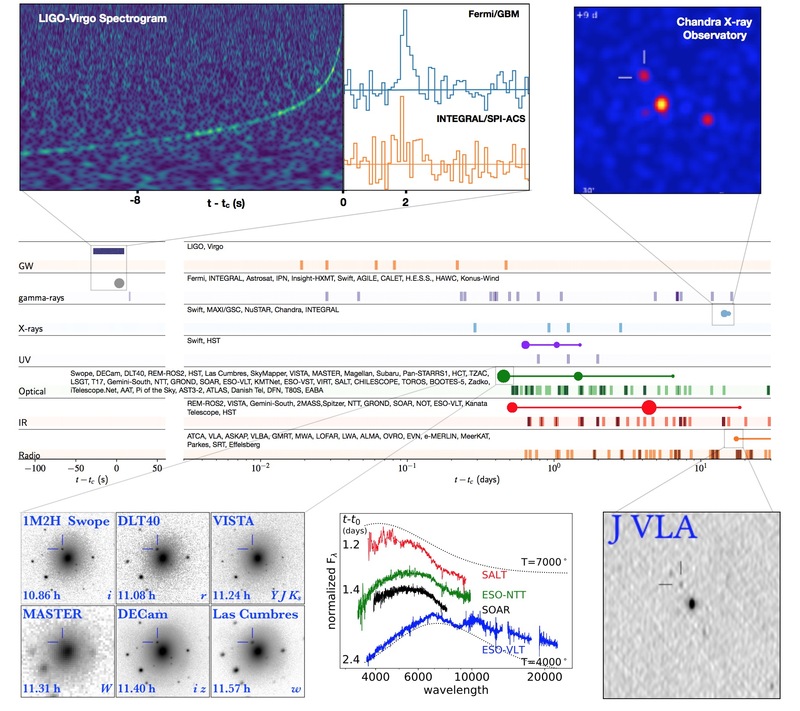 The CfA team and collaborators then launched a series of observations that spanned the electromagnetic spectrum from X-rays to radio waves to study the aftermath of the neutron star merger. 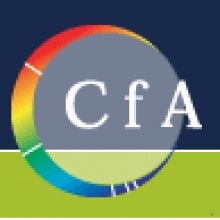 In their set of papers, the CfA scientists report their studies of the brightness and spectrum of the optical and infrared light and how it changed over time. They show that the light is caused by the radioactive glow when heavy elements in the material ejected by the neutron star merger are produced in a process called a kilonova. The material observed in the kilonova is moving at high speeds, suggesting that it was expelled during the head-on collision of two neutron stars. This information, independent of the gravitational wave signature, suggests that two neutron stars were involved in GW170817, rather than a black hole and a neutron star. Radio observations with the Very Large Array in New Mexico helped confirm that the merger of the two neutron stars triggered a short gamma ray burst (GRB), a brief burst of gamma rays in a jet of high-energy particles. The properties match those predicted by theoretical models of a short GRB that was viewed with the jet initially pointing at a large angle away from Earth. Combining the radio data with observations from NASA’s Chandra X-ray Observatory shows that the jet pointed about 30 degrees away from us. “This object looks far more like the theories than we had any right to expect,” said the CfA’s Kate Alexander who led the teams’ VLA observations. “We will continue to track the radio emission for years to come as the material ejected from the collision slams into the surrounding medium,” she continued. An analysis of the host galaxy, NGC 4993, and the environment of the cataclysmic merger shows that the neutron star binary most likely formed more than 11 billion years ago. “The two neutron stars formed in supernova explosions when the universe was only two billion years old, and have spent the rest of cosmic history getting closer and closer to each other until they finally smashed together,” said Peter Blanchard of the CfA. 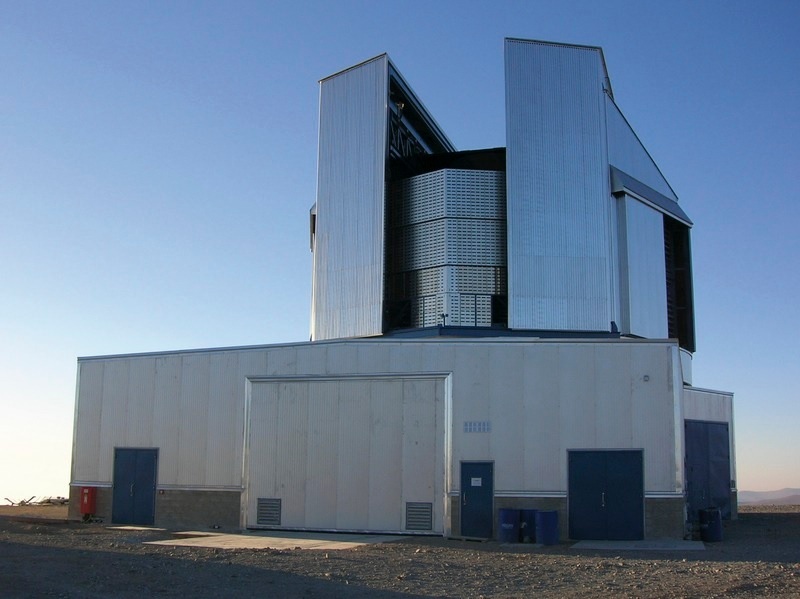 A long list of observatories were used to study the kilonova, including the SOAR and Magellan telescopes, the Hubble Space Telescope, the Dark Energy Camera on the Blanco, and the Gemini-South telescope. The series of eight papers describing these results appeared in the Astrophysical Journal Letters on October 16th. The four papers with first authors from CfA are led by Philip Cowperthwaite about the changes with time of light from the kilonova, one led by Matt Nicholl about the changes with time of the kilonova’s spectrum, another led by Kate Alexander about the VLA observations, and another led by Peter Blanchard about how long the merger took to unfold and the properties of the host galaxy. Completing the series of eight papers, Marcelle Soares-Santos from Brandeis University in Waltham MA led a paper about the discovery of the optical counterpart; Ryan Chornock from Ohio University in Athens, OH, led a paper about the kilonova’s infrared spectra, Raffaella Margutti from Northwestern University in Evanston, IL, led a paper about the Chandra observations of the jet, and Wen-fai Fong also from Northwestern led a paper about the comparison between GW170817 and previous short GRBs. Graphics and other additional information on this result can be found at http://www.kilonova.org. See the full main article here . ESO’s fleet of telescopes in Chile have detected the first visible counterpart to a gravitational wave source. These historic observations suggest that this unique object is the result of the merger of two neutron stars. The cataclysmic aftermaths of this kind of merger — long-predicted events called kilonovae — disperse heavy elements such as gold and platinum throughout the Universe. 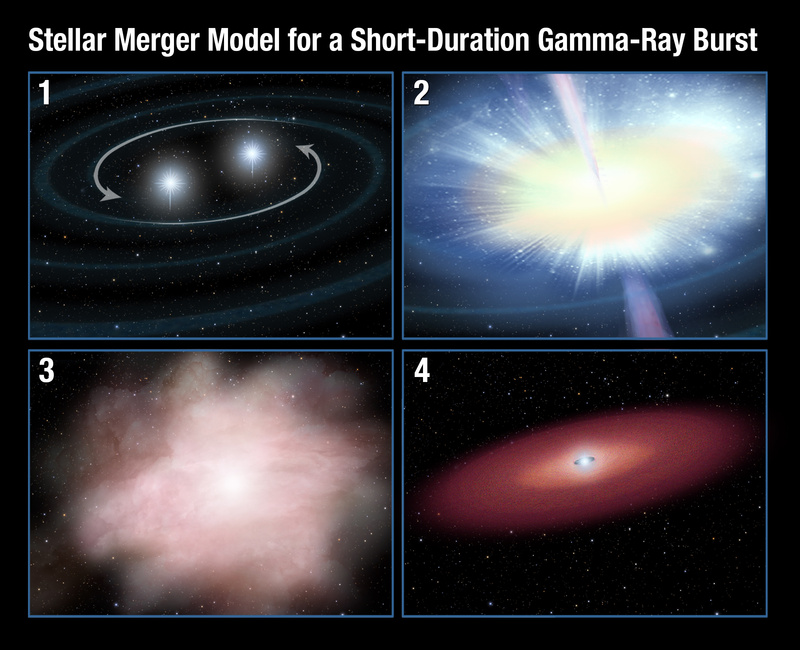 This discovery, published in several papers in journals [listed below], also provides the strongest evidence yet that short-duration gamma-ray bursts are caused by mergers of neutron stars. On 17 August 2017 the NSF’s Laser Interferometer Gravitational-Wave Observatory (LIGO) in the United States, working with the Virgo Interferometer in Italy, detected gravitational waves passing the Earth. This event, the fifth ever detected, was named GW170817. About two seconds later, two space observatories, NASA’s Fermi Gamma-ray Space Telescope and ESA’s INTErnational Gamma Ray Astrophysics Laboratory (INTEGRAL), detected a short gamma-ray burst from the same area of the sky. and the American DECam at Cerro Tololo Inter-American Observatory. 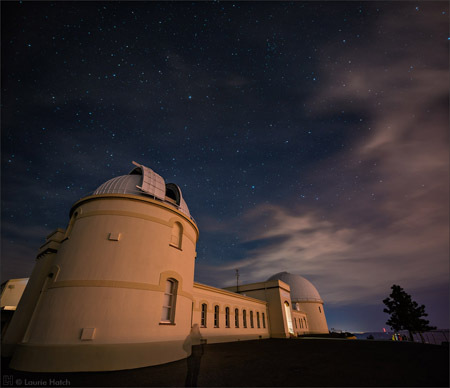 The Swope 1-metre telescope was the first to announce a new point of light. It appeared very close to NGC 4993, a lenticular galaxy in the constellation of Hydra, and VISTA observations pinpointed this source at infrared wavelengths almost at the same time. As night marched west across the globe, the Hawaiian island telescopes Pan-STARRS and Subaru also picked it up and watched it evolve rapidly. This research was presented in a series of papers to appear in Nature, Nature Astronomy and The Astrophysical Journal Letters. Sometimes – even in matters of science – you have to be lucky. On Aug. 17, scientists around the globe were treated to near-simultaneous observations by separate instruments: One set of Earth-based detectors measured the signature of a cataclysmic event sending ripples through the fabric of space-time, and a space-based detector measured the gamma-ray signature of a high-energy outburst emanating from the same region of the sky. These parallel detections led astronomers and astrophysicists on an all-out hunt for more detailed measurements explaining this confluence of signals, which would ultimately be confirmed as the first measurement of the merger of two neutron stars and its explosive aftermath. Just a week earlier, Daniel Kasen, a scientist in the Nuclear Science Division at the Department of Energy’s Lawrence Berkeley National Laboratory (Berkeley Lab) and an associate professor of physics and astronomy at UC Berkeley was attending a science conference in Seattle. A hypothetical question was posed to attendees as to when would astronomers detect an astrophysical source that produced both a strong disruption in the space-time continuum – in the form of gravitational waves – and see an associated burst of light. The likely target would be the violent merger of a neutron star, which is the ultradense remnant of an exploded star, with another neutron star or a black hole. Such events have been theorized to seed the universe with heavy elements like gold, platinum, and radioactive elements like uranium. Most scientists in the room expected that, based on the planned sensitivity of future instruments, and the presumed rarity of neutron star mergers, such a historic discovery might – with some luck – be more than a decade away. So Kasen, who had been working for years on models and simulations to help understand the likely signals from merging neutron stars, was stunned when data on a neutron star merger and its aftermath began to pour in just a week later. LIGO and VIRGO – a network of Earth-based gravitational wave detectors capable of observing some of the universe’s most violent events by detecting ever-so-slight changes in laser-measured distances caused by passing gravitational waves – had picked up an event. A couple of seconds later, a brief burst of gamma rays were detected by an instrument aboard the Fermi Gamma-ray Space Telescope. Less than 12 hours after that, astronomers spotted the first glimpse of visible light from the event. Over the following days and weeks, an influx of observations provided data confirming that the brilliant burst behaved remarkably like the theorized merger of two neutron stars. Computer simulations had suggested that, during such a merger, a small fraction of neutron star matter would be flung into surrounding space. Models predicted that this cloud of exotic debris would assemble into heavy elements and give off a radioactive glow over 10 million times brighter than the sun. The phenomenon is called a kilonova or macronova. Jennifer Barnes, an Einstein postdoctoral fellow at Columbia University, who as a UC Berkeley graduate student worked with Kasen to compute some of the first detailed model predictions of kilonovae, said, “We expected from theory and simulations that kilonovae would be tinged red if heavy elements were produced, and would shine blue if they weren’t. Kasen, Barnes, and two other Berkeley Lab scientists were among the co-authors of several papers published today in the journals Nature, Science, and The Astrophysical Journal. The publications detailed the discovery, follow-up observations, and theoretical interpretation of this event. See https://sciencesprings.wordpress.com/2017/10/16/from-hubble-nasa-missions-catch-first-light-from-a-gravitational-wave-event/ for science papers. Simulations related to the event were carried out at the Lab’s National Energy Research Scientific Computing Center (NERSC). Peter Nugent, a senior staff scientist in the Computational Research Division at Berkeley Lab and an adjunct professor of astronomy at UC Berkeley, also closely followed the alerts related to the Aug. 17 observations. At the time, he was assisting with the final preparations for the startup of the Zwicky Transient Facility (ZTF) at the Palomar Observatory in Southern California. 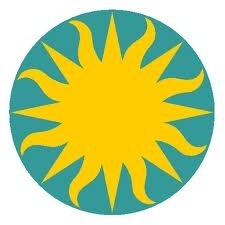 Berkeley Lab is a member of the collaboration for ZTF, which is designed to discover supernovae and also to search for rare and exotic events such as those that occur during the aftermath of neutron star mergers. “This event happened too early by three months,” Nugent said, as the soon-to-launch ZTF is designed to quickly follow up on LIGO/VIRGO gravitational wave measurements to look for their visible counterparts in the sky. Nugent said that, at first, he thought that the multiple observations of the object (known as an optical transient) associated with the neutron star merger and gamma-ray burst was just a common supernova. But the object was evolving too quickly and had an incredibly blue light signature that pointed to a different type of event than the supernovae normally associated with the type of galaxy hosting this event. Nugent contributed to an analysis in one of the papers in the journal Science that concludes there may be “many more events” like the observed merger, and that neutron star mergers are likely “the main production sites” for heavy elements in the Milky Way. The observation could also provide valuable clues about how scientists might look for other neutron star mergers in optical surveys without a LIGO/VIRGO detection. The debris cloud from the merger mushroomed from about the size of a city shortly after the merger to about the size of a solar system after only one day, Kasen said. It is also likely that only a few percent of the matter in the merging neutron stars escaped the central site of the merger; the rest likely collapsed to form a black hole. It is expected that the escaping debris will be very long-lived, diffusing across the galaxy over a billion years and enriching stars and planets with the heavy elements like those we find on Earth today. 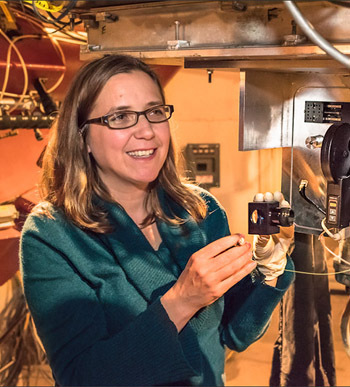 Future advances in computing, and new insights from the Facility for Rare Isotope Beams (FRIB) at Michigan State University on exotic reactions that produce heavy nuclei, should provide even more insight as to how the heavy elements came to be, and the extreme physics of matter and gravity that occurs in mergers. Kasen is also the lead investigator on a DOE Exascale Computing Project that is developing high-performance astrophysical simulation codes that will run on the next generation of U.S. supercomputers. He is also a member of a DOE-supported SciDAC (Scientific Discovery through Advanced Computing) collaboration that is using computing to simulate supernovae, neutron star mergers, and related high-energy events. The National Energy Research Scientific Computing Center is a DOE Office of Science User Facility. 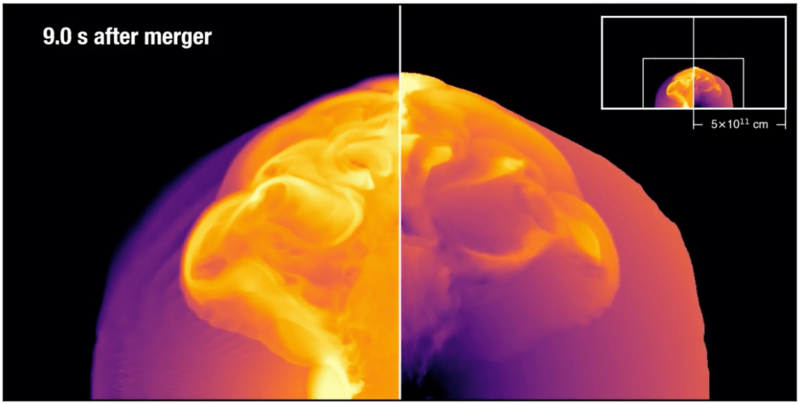 Berkeley Lab’s contributions to the simulations and observations were supported by the U.S. Department of Energy’s Office of Science. Where were you on Thursday, 17 August 2017? I was in Idaho, getting ready for Monday morning’s solar eclipse. What I didn’t know was that, at the time, around 70 teams around the world were mobilizing to point their ground- and space-based telescopes at a single patch of sky suspected to host the first gravitational-wave-detected merger of two neutron stars. The process of science is long and arduous, generally occurring at a slow plod as theorists make predictions, and observations are then used to chip away at these theories, gradually confirming or disproving them. It is rare that science progresses forward in a giant leap, with years upon years of theories confirmed in one fell swoop. 14 September 2015 marked the day of one such leap, as the Laser Interferometer Gravitational-Wave Observatory (LIGO) detected gravitational waves for the first time — simultaneously verifying that black holes exist, that black-hole binaries exist, and that they can merge on observable timescales, emitting signals that directly confirm the predictions of general relativity. As it turns out, 17 August 2017 was another such day. On this day, LIGO observed a gravitational-wave signal unlike its previous black-hole detections. Instead, this was a signal consistent with the merger of two neutron stars. Theoretical models describing the merger of two compact objects predict a chirping gravitational-wave signal as the objects spiral closer and closer. Unlike in a black-hole merger, however, the end of the chirp from merging neutron stars should coincide with a phenomenon known as a short gamma-ray burst: a powerful storm of energetic gamma rays produced as the objects finally collide. According to the models, these gravitational waves and gamma rays will be followed by a kilonova — a transient source visible in infrared, optical, and ultraviolet — which arises from radioactive decay of heavy elements formed in the collision. This source should gradually decay over a timescale of weeks. Lastly, the merger could create a powerful jet of high-energy particles, which could be visible to us in X-ray and radio wavelengths as it is emitted and interacts with its surrounding environment. We could also detect neutrinos from this outflow. The gravitational-wave signature of a binary neutron-star merger was observed with all three gravitational-wave detectors currently operating as a part of the LIGO-Virgo collaboration. GW170817’s signal was in the sensitivity band of these detectors for ~100 seconds, arriving first at the Virgo detector in Italy, next at LIGO-Livingston in Louisiana 22 milliseconds later, and finally at LIGO-Hanford in Washington 3 milliseconds after that. 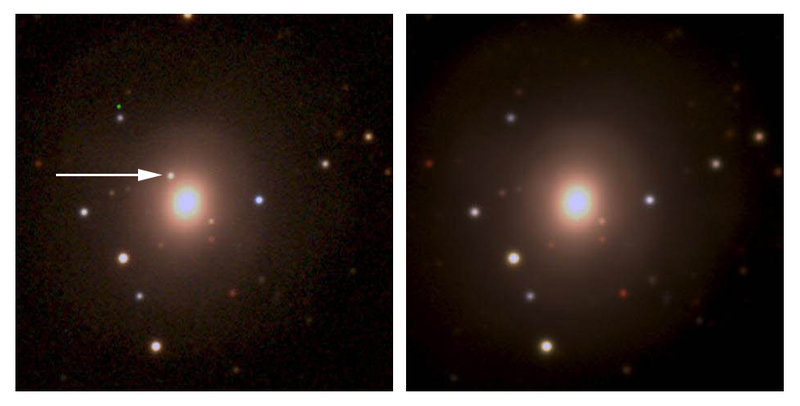 These detections localized the source to a region of 31 square degrees at a relatively nearby distance of ~130 million light-years, and they identified the binary components to be neutron stars. The Fermi Gamma-Ray Burst Monitor detected a short (~2-second) gamma-ray burst, GRB170817A, which appears to have occurred 1.7 seconds after the merger indicated by the gravitational-wave signal. This source was later identified by the International Gamma-Ray Astrophysics Laboratory (INTEGRAL) spacecraft as well. 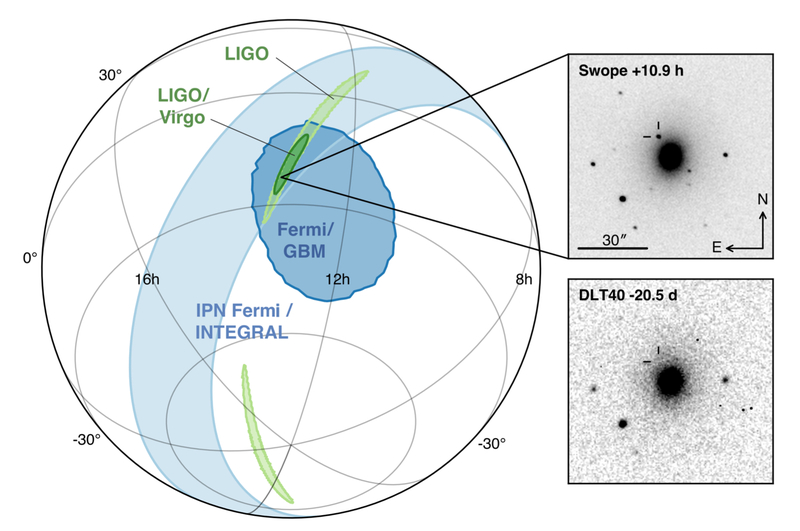 Though they were initially foiled by the signal’s location (the localized region of GW170817 only became visible in Chile 10 hours after its detection), the One-Meter, Two-Hemisphere team used the Swope telescope at Las Campanas Observatory in Chile to discover an optical counterpart to the LIGO and Fermi detection, located in the early-type galaxy NGC 4993. Within an hour, five other teams had independently detected the optical source in NGC 4993, with more following after. In the subsequent hours, days, and weeks, observatories across the electromagnetic spectrum monitored the transient. The source soon faded from view in the ultraviolet and gradually reddened in the optical and infrared bands. Delayed X-ray emission was discovered ~9 days after the LIGO signal, and a radio counterpart was discovered a week after that. Though several neutrino observatories searched for high-energy neutrinos in the direction of NGC 4993 in the two-week period following the merger, none were detected. So what do these observations tell us? Our model for neutron-star mergers appears to be remarkably successful! The associated detections of gravitational waves and electromagnetic counterparts have confirmed that merging neutron stars produce the expected gravitational-wave signal, that they are the source of gamma-ray bursts, that some of the heaviest elements in the universe are produced during the collision of these stars, and that jets of high-energy particles are created that subsequently interact with their environment. As with any interesting scientific discovery, new points of exploration have arisen — we can now wonder why the gamma-ray burst was unusually weak given its close distance, for instance, or why we didn’t detect any neutrinos from the outflow. In spite of our new questions, the combination of these recent discoveries provide a resounding verification of our understanding of how compact objects merge. The various signals that began on 17 August, 2017 have simultaneously confirmed a stack of carefully constructed theories that were crafted over decades to explain how seemingly unrelated electromagnetic signals might all tie together. It’s a beautiful thing when science works out this well! After being passed up for the honor last year, three scientists who made essential contributions to the LIGO collaboration have been awarded the 2017 Nobel Prize in Physics. Rainer Weiss will share the prize with Kip Thorne and Barry Barish for their roles in the discovery of gravitational waves, ripples in space-time predicted by Albert Einstein. Weiss and Thorne conceived of the experiment, and project manager Barish is credited with reviving the struggling experiment and making it happen. A third founder of LIGO, scientist Ronald Drever, died in March. Nobel Prizes are not awarded posthumously. According to Einstein’s general theory of relativity, powerful cosmic events release energy in the form of waves traveling through the fabric of existence at the speed of light. LIGO detects these disturbances when they disrupt the symmetry between the passages of identical laser beams traveling identical distances. The setup for the LIGO experiment looks like a giant L, with each side stretching about 2.5 miles long. Scientists split a laser beam and shine the two halves down the two sides of the L. When each half of the beam reaches the end, it reflects off a mirror and heads back to the place where its journey began. Normally, the two halves of the beam return at the same time. When there’s a mismatch, scientists know something is going on. Gravitational waves compress space-time in one direction and stretch it in another, giving one half of the beam a shortcut and sending the other on a longer trip. LIGO is sensitive enough to notice a difference between the arms as small as 1000th the diameter of an atomic nucleus. 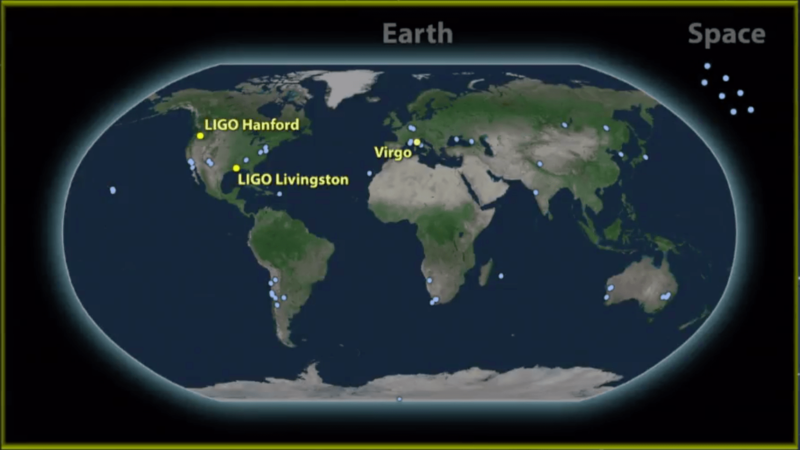 Scientists on LIGO and their partner collaboration, called Virgo, reported the first detection of gravitational waves in February 2016. The waves were generated in the collision of two black holes with 29 and 36 times the mass of the sun 1.3 billion years ago. They reached the LIGO experiment as scientists were conducting an engineering test. “It took us a long time, something like two months, to convince ourselves that we had seen something from outside that was truly a gravitational wave,” Weiss said. LIGO, which stands for Laser Interferometer Gravitational-Wave Observatory, consists of two of these pieces of equipment, one located in Louisiana and another in Washington state. The experiment is operated jointly by MIT, Weiss’s home institution, and Caltech, Barish and Thorne’s home institution. The experiment has collaborators from more than 80 institutions from more than 20 countries. A third interferometer, operated by the Virgo collaboration, recently joined LIGO to make the first joint observation of gravitational waves.